GMOs tend to have a nasty connotation behind them, but if we did not have GMOs, we would not have many of the foods that we have today, or the amount. GMOs tend to have a nasty connotation behind them, but if we did not have GMOs, we would not have many of the foods that we have today, or the amount. If you do not already know GMO stands for genetically modified organisms, this sounds scary right? It is not. It just means that the crops have been tweaked slightly so that they grow better in different environments, they grow in larger amounts, and provide us more nutrition. They do not put harmful chemicals into the foods, they are just making it easier for us to keep food on our tables. If you are interested look at what a non-genetically modified corn cob looks like in comparison to a genetically-modified one. 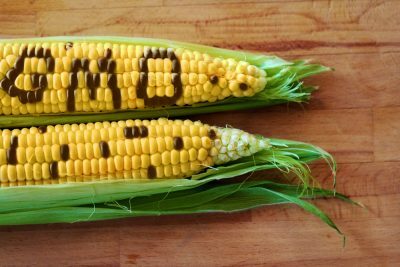 You’ll be surprised to find that your corn is the genetically modified one, and you’ll be able to see why we decided to genetically modify this food that many of us eat regularly. How are GMOs Overall Quality? When GMOs first started, they began by making foods more resistant to herbicides and pests. This is what began the uproar against GM foods. 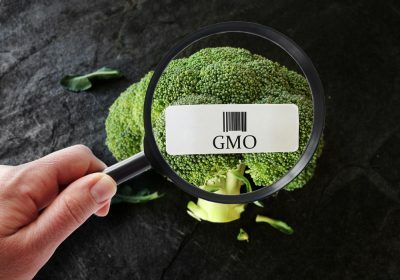 Most people began to ask, “If these plants are becoming more resistant to pests, then what the heck are they putting in them?” Honestly, scientists, biotechnologists to be specific, were able to transfer to alter genomes in these foods to make them more resistant to these things. They did not put anything bad into these foods, they simply made them better by using what they already had. Biotechnologists, because of this worry from consumers, have started to enhance the products by making them more beneficial to us. Of course, this will most likely cause some discussion since they are still altering the foods, but hey, they’re making them better right? Biotech companies are working on improving flavor and textures of many of our crops. They are also working on delaying the ripening of many of these crops so that more can be harvested before they go bad. GMOs are now able to better resistant many of the things that make them harder to grow, harvest, and provide the amount of foods that we need. GMOs are resistant to insects. This is very beneficial as they are growing and we are able to harvest the biggest yields. They are also tolerant to herbicides. Herbicides can be very harmful to the growth of many crops. Since they have been modified to be more resistant to these herbicides, we are able to have a better harvest every year. These GMOs are also tolerant of heat, cold, and drought. This is very beneficial as many years these weather conditions are out of our hands and we are not able to grow as many crops as we need. This is very helpful to farmers who experience these weather conditions. If they experience these conditions, they are generally only able to grow enough crops to sell what they are contracted to, but they may not make any money for the year or have crops left over for their own use. Now that GMOs are more resistant to these conditions, it is helpful to those who grow your crops. GMOs also lead to more of a crop yield. With all of these things added to their genomes, crops grow better overall. This is very important for all people. As our populations grows, we need more crops to be grown. If we are able to have higher crop yields every year, we will be able to keep food in our grocery stores, restaurants, and people’s homes. What are GMOs Nutritional Benefits? 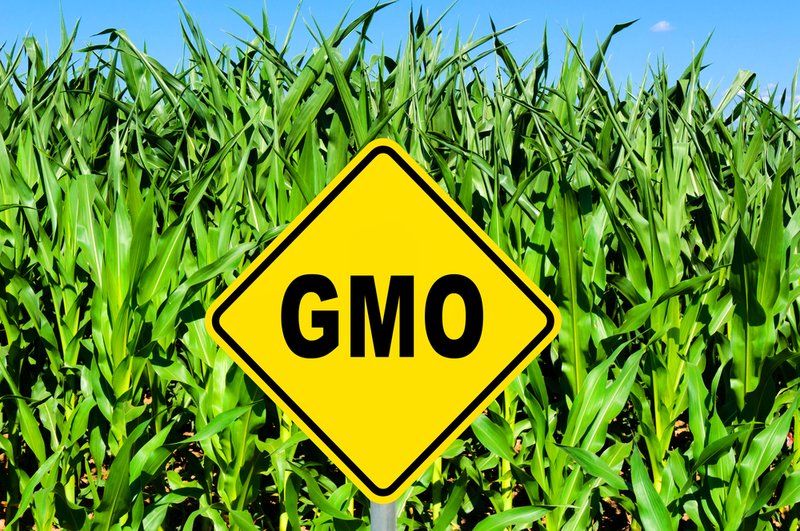 Genetically modified food is being modified to benefit your health. These foods are never having anything done to them that would cause the general public harm. If they were, we would see these foods affect us negatively every day. Biotechnicians are generally looking to help many foods produce a higher protein content. They are also working on making more fatty acid in the foods. This may not seem like a good thing, but they actually can help to protect against heart disease. The fatty acids that they are trying to produce more of are polyunsaturated fats, which are already found in small amounts in many crops, but with biotechnologists help they can produce even more for our benefit. They are also trying to enhance the amount of vitamins and minerals in many crops. These are rich in antioxidants and can help to prevent or reduce the risk of many diseases and conditions. Did you know that biotechnologist are also the reason for seedless fruits? That watermelon that you love so much, is seedless because it is genetically modified. There is nothing wrong with this watermelon right? So why do other GMOs get such a bad rap? People are scared of what they do not know about, but if they just do a little research, or even ask the right questions, more people will be more informed, and comfortable, with genetically modified foods. Are There Any Other Benefits of GMOs? Biotech companies are also working on getting rid of potentially harmful chemicals in many foods. This can help us to get more of, or even eat, foods we have never been able to before. They are also working on allergens in foods. Are you allergic to peanuts? Sometime in your lifetime, you may be able to taste a peanut, or at least some form of it. How amazing is that? If biotechnicians were able to reduce allergens, or even get rid of them all together, we will be able to eat all foods, reducing the risk of death caused by food allergies. They can also provide gluten-free wheats. This can be very beneficial as it seems that gluten allergies are on the rise. We will be able to continue to use our wheat products, without anyone getting sick. Overall, GMOs can help us to sustain life in our country and others, by having more nutrient rich, resistant to negative factors, and longer shelf life foods.